Twenty years ago in Barcelona, a group of giants named Magic, Larry, Michael & Co. won the Olympic gold medal in basketball. Their average winning margin? An unfathomable 43.8 PPG. That was the 1992 Dream Team, acknowledged as the greatest ever cast of athletes assembled—of any sport. Now, it’s 2012. It’s London. 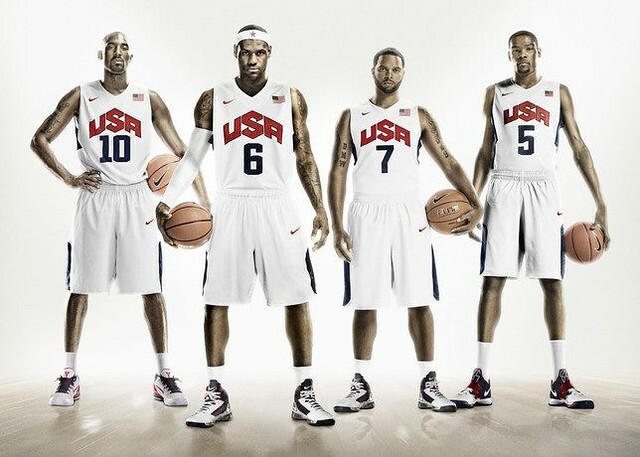 Will Kobe, Kevin, LeBron & Co. become today’s “Avengers” and win gold? Absolutely. 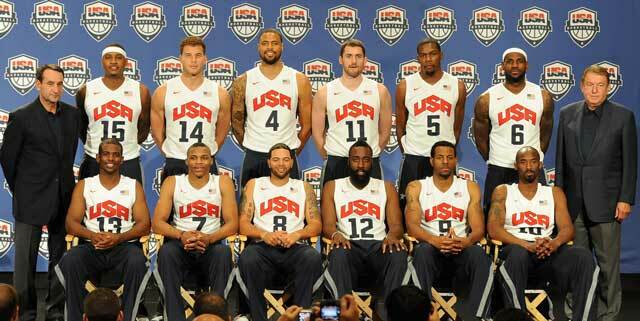 As sure as basketball was invented by an American, Team USA will beat Spain, Argentina, France and Russia. Look at the roster: Carmelo Anthony, Chris Bosh, Kobe Bryant, Tyson Chandler, Kevin Durant, Blake Griffin, James Harden, Andre Guodala, LeBron James, Kevin Love, Chris Paul, Russell Westbrook and Deron Williams. These are the 12 best ballplayers of our planet’s seven billion inhabitants. Durant? Bryant? James? Those three alone can beat the five-man squad of Tunisia. “When I think about ’08, we were really good then. But like me, LeBron and D-Will, all of us talk about, you’ve got to think about how much better all of us are now than we were in ’08. All of us as players, we shoot the ball better. Guys are more athletic, guys are more confident. One through 12, no question we’re deeper than we were in ’08.” Who said those words? Chris Paul, the 6-footer point guard. In Beijing, Team USA won by an average of 32.2 points in the elimination round. In the quarterfinals, they defeated Australia, 116-85. In the semis, Argentina got trounced, 101-81. And, in the finals, it was closer than expected: 118-107 versus Spain. While 2008 was The Redeem Team, the 2004 squad was The Nightmare Team as the US (with Dwayne Wade, LeBron and Carmelo Anthony) lost to eventual gold medalists Argentina in the semis. This 2012, the country of Barack Obama wants to ensure that they’re all-smiles during the Awarding. LeBron? The 27-year-old has the opportunity to match a record that only one other human being has accomplished: Michael Jordan. In 1992, MJ earned the MVP and Finals MVP awards, the NBA ring plus an Olympic gold medal. Kobe? He’s the “senior citizen” (oldest player) at age 33. There are a few notable no-shows: Derrick Rose, Dwight Howard and Miami teammates Wade and Chris Bosh. They’re injured. “The United States will rely on the same formula it did in winning the gold medal in Beijing when it overwhelmed every opponent with its full-court pressure and transition game—until the final, when it took scintillating shooting to hold off Spain,” wrote Fox Sports’ Billy Witz. Dream Team Part 2? Yes. The A-Team.